Sweating is a completely different process for those who sweat excessively. It is an unwanted burden, something to get rid of. Excessive sweaters are always looking for ways to avoid the embarrassment of wet armpits and sweaty forehead in public outings. DIY sweat pads are one of these ways that they employ for escaping sweat marks and odour. But their effectiveness is a big question mark. Excessive sweaters have tried various kinds of these pads without any real results. Here are 4 different tactics of DIY pads and why you should avoid them. It’s true that people stuff their underarms with paper towels to keep the sweat from showing. This tactic is as far away from being effective as it possibly can be. The absorbency of paper towels is next to null. Therefore, when you put these in your underarms, they become wet in no time. You have to excuse yourself to the washroom to change them from time to time. This regular visit to the loo is not only time-consuming but also affects your productivity. In addition to all the discomfort paper towels offer, they also cause yellow stains. Sweat marks ruin your expensive clothes and act as people-repellents for you. So, if you do not wish to make sweating all the more humiliating, avoid paper towels as DIY sweat pads. Many people stick maxi pads on their shirt’s interior to work as DIY sweat pads. Bad idea. A maxi pad does not function properly if it is not properly stuck to the underarm. 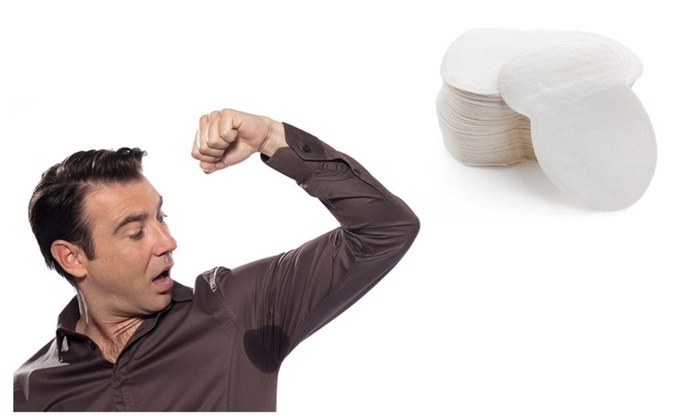 Excessive sweating will obviously loosen the grip and move the pad from its position. In such case, a maxi pad proves totally ineffective. On top of that, maxi pads absorb sweat quickly and fill up. Once they are full, you have to either change them or move around with heavy wetness in your pits. This, again, requires you to leave work and visit the washroom time and again. At the end of the day, when you finally take off the pad, there are good chances that it will rip off your fabric. It also leaves its adhesive on the shirt, ruining it forever. If you do not wish to damage your wardrobe and worsen your sweating problem, avoid sticking maxi pads to your shirt. An even worse DIY sweat pads tactic is to stick the maxi pads directly to the armpits. The adhesive is really sticky in the beginning. It is sure to cause uneasiness and itching in the pits. Again, it fills up real quick and loses its grip. There is the added trouble of changing it after regular intervals. But when you get the pad off your underarms, it will rip off your hair this time. It works as a waxing pad used without proper care. Continuous use of these DIY sweat pads can lead to skin discolouration, rashes, and other similar problems. This happens in real. People pin socks and trash bags to their shirt in order to avoid sweat marks and wetness. There is a time when the wish to get rid of underarm wetness just turns into desperation. When all measures fail, sweaters resort to socks for the rescue. But, it is a nightmare in reality. Socks absorb all the sweat without allowing any evaporation. So, all the sweat is collected inside the sock and you carry it around throughout the day. Trash bags, on the other hand, create more heat in your armpits. Consequently, the sweating increases without any means to stop it. These DIY sweat pads are no good. They work towards increasing your sweat issues rather than curing them. You are really wasting your efforts in using these ways for sweat control. What you really need to get rid of sweat marks and odour is something lasting and effective without side effects. NGwear’s sweatproof undershirt is the perfect solution. Be it work or a party or any social gathering, this sweat-resistant shirt is to your rescue anytime. Save your clothes from yellow stains and ripping off. Save your skin from any harmful effects. 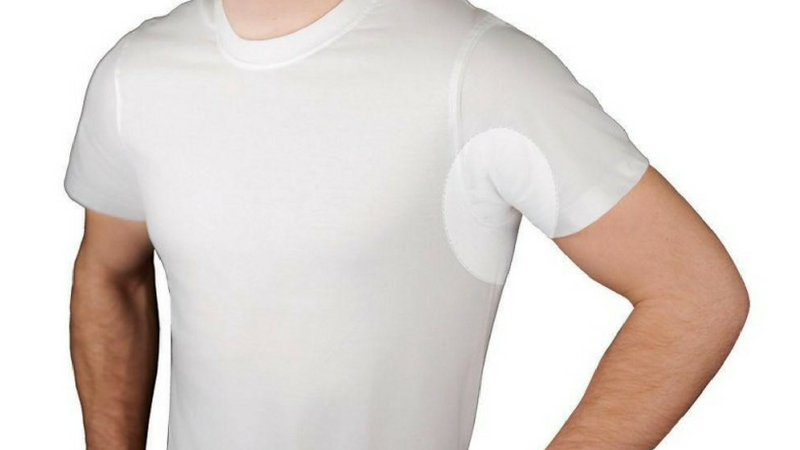 Stay dry and comfortable throughout the day with this sweatproof undershirt that is first in India. It will absorb all sweat and evaporate without making you feel a thing. With NGwear’s sweatshirt, wet underarms are a thing of the past. Read here to know the best ways of keeping body odour away during workouts.